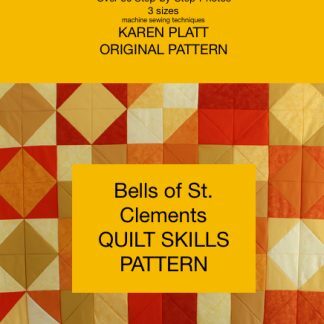 This stunning bright and easy-to-make quilt kit teaches you how to quilt using the Cathedral Window Quilting Method by hand. 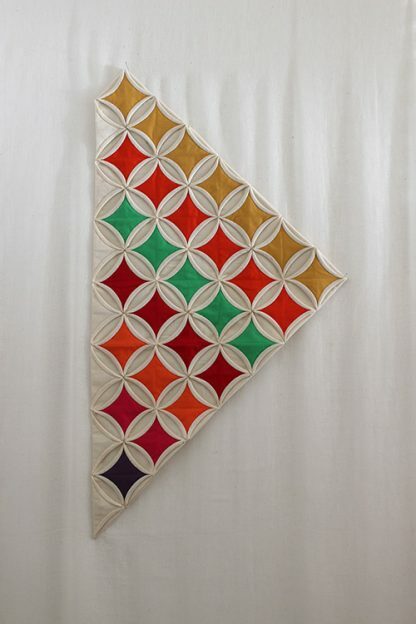 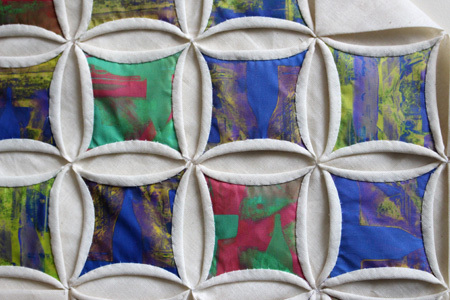 It includes all the fabrics you need to make this quilted wall hanging. 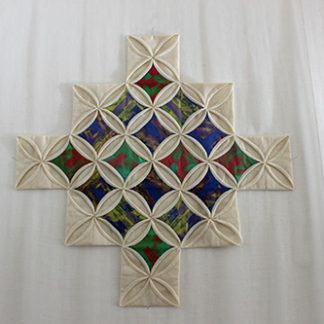 It uses a folding technique.